After listening to Yellow Magic Orchestra what else to follow but Yello? 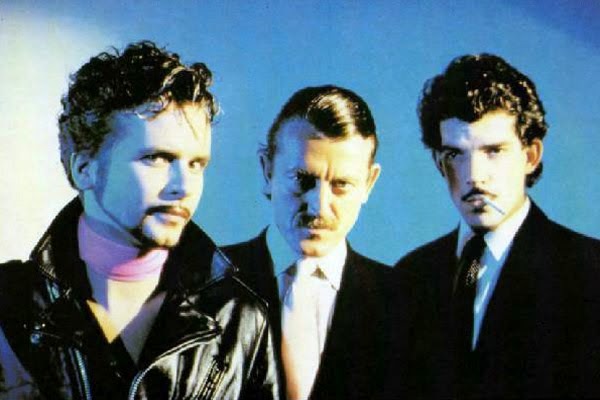 I was an early convert to the Church of Yello after hearing the 7″ of “Bimbo,” their Ralph records debut being played on WUSF-FM college radio in early 1981. 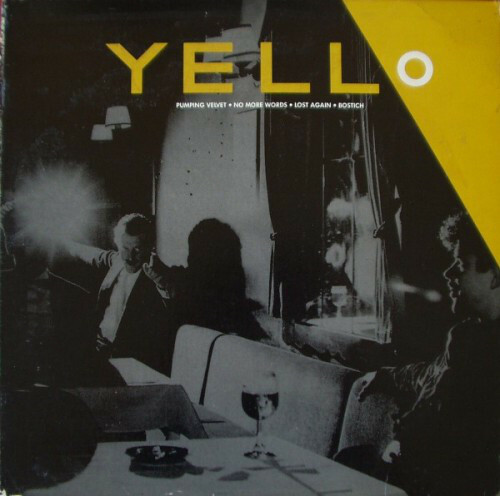 I wanted every Yello record I could get my hands on from that point onward! I had better luck with the albums. I quickly got “Claro Que Sí” on Ralph when it was released some months later, and I was certainly aware of this one-off EP on Stiff America since I believe that I saw it advertised in Trouser Press at the time! But I never saw it in any store until some time within the last decade. It was easy enough to start buying Yello singles by the time of their third album, and I have gone back and gotten much of their classic canon, but this little aberration was tough to track down. “Bostich” was a tease of a song on the “Solid Pleasure” album. At little over two minutes long it was more like a précis than an actual song. Here it was remixed into a full 4:30 minute form with all of its promise more than fulfilled. The martial beat that drummer Beat Ash opened the tune with alerted the listener to get ready for the relentless, pummeling vocal of Dieter Meier. The funk drop that accompanied the first verse [which followed the chorus] was dancefloor catnip of the strongest kind; complemented by the strong, odd vocal performance of Meier who, typically, was unafraid to modulate his vocal into a plethora of extremes to serve the song. Sometimes affecting a character voice. Sometimes shouting at the top of his lungs. “Sometimes,” indeed. It’s thrilling, dynamic music. Gloryoski! Hearing the version of “She’s Got A Gun” on this EP was a late-in-the-game “buried treasure” revelation as I had no idea that this EP featured an alternate take of the familiar, ultrasuave tune. This one was all instrumental and the whole character of the song differed from the version on “Claro Que Sí.” The deep embers of Chico Hablas guitar solo burn brightly here in the enveloping darkness. The distinctive whistling hook only shares the first five notes with what I’m already familiar with, so I couldn’t whistle along with this. There are new melodic tributaries let loose here that the final version of the song dammed up. “Downtown Samba” proffered a Swiss/Brazilian hybrid with completely appropriate Latin acoustic percussion shot through with psychedelic electronics and curiously angular sax, almost jazzlike in its delivery. Curiously, there is no sax credit on the album so perhaps this was an example of tape effect man Carlos Peron having access to some sax recordings that were brilliantly repurposed here. I don’t think Yello had a Fairlight yet [that would happen in time for album #3, I think] so I’ll stick with theory #1 until I learn otherwise. Hearing the song of of the segued, deeply dreamlike cinematic environment of “Solid Pleasure” is somewhat jarring here, as the weird snatches of Meier babbling in Spanish lack a larger context. The mix of the tune sounded otherwise identical to the album version. The last number was another unaltered LP track with the throbbing “Daily Disco” from “Claro Que Sí.” Outside of the [shorter] remix of the song on the 1985 compilation “The New Mix In One Go,” I think an opportunity was missed by not making a 12″ mix of “Daily Disco” within its original context. If more time/money had been expended, I’d like to think that all four tracks would have been remixed or different like the 1983 Elektra EP of dance mixes that I bought that year. It also had the 12″ mix of “Bostich,” and that’s where I finally got a copy of the song, but that’s another record for another day. This entry was posted in Buried Treasures, Core Collection, Record Review and tagged 1981, EP, Remixes, Stiff Records, Yello. Bookmark the permalink. Bostich is a template for so much music that I love over the passed 35 years. It’s really as simple as that. I never knew there was ANOTHER version of my fave Yello song “She’s got a Gun”! 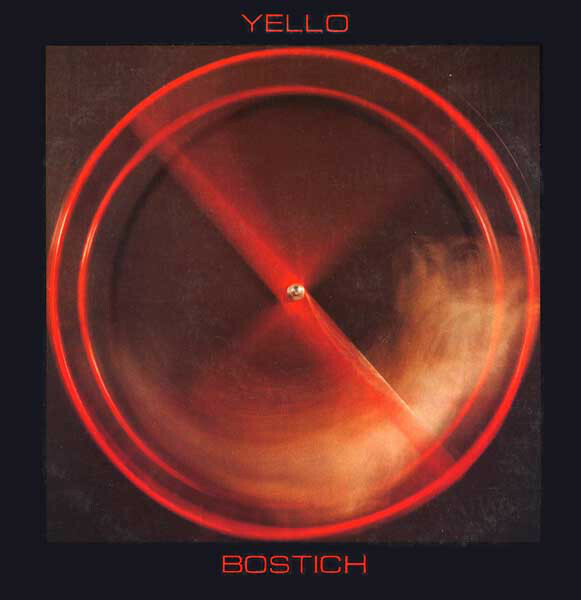 I have the LP version,the 12″ and the live version but have never seen that “Bostich” EP in particular. I have a pretty extensive Yello collection on vinyl,but obviously nowhere near complete. Dieter once signed my LP of “Baby”-Boris wasn’t around so he drew a pic of him instead! Gavin – We aim to serve here at PPM! It is a deliciously different recording. As much as I hate to admit it, you won’t miss Dieter. All the melodrama was already there. And so after YMO and Yello, … are we heading over to visit Telex? KeithC – Welcome to the comments! I wish! It’s another of my failings that I have ultra-scant Telex in the Record Cell. My friend chasinvictoria exposed me to the wonderful “Neurovision” album back in the day but so far, only a single Razormaid remix sits on my racks. Sad, I know. Just wanted to say thanks for the work on the site; writing this comment took me long enough that I can’t imagine composing to the length/breadth of your posts. JT – Those 2005 remasters are laughably incomplete! I never bothered with them but probably should buy “Solid Pleasure.” Not only their best album but the inclusion of their insanely rare “I.T. Splash” b/w “Gluehead” single makes it mandatory. I have the Ralph “Bimbo” 7″ with “I.T. Splash” but the track was edited down on that release by a quarter of a minute or so.